A couple of years ago, a crochet friend from the US sent me some beads and this little piece of blue plastic known as a dental floss threader. 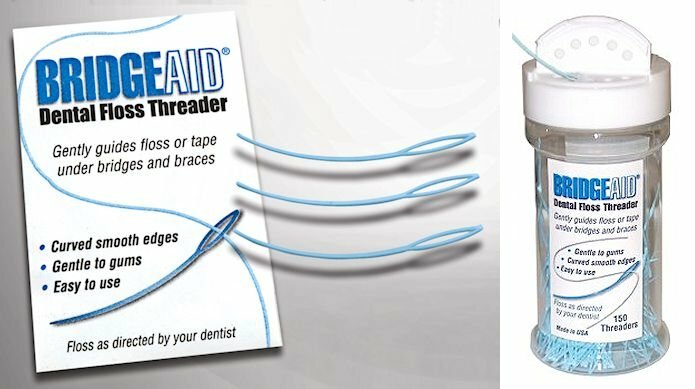 While a dental floss threader is intended to be used with teeth, it is also repurposed as a bead threader. 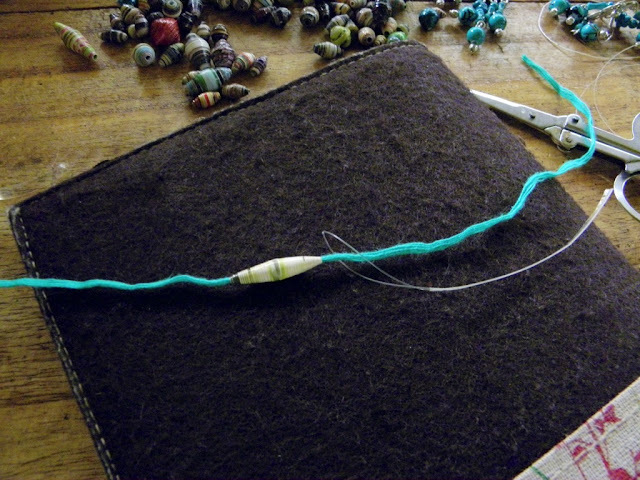 This dental floss threader came with a set of beads, findings and glitter thread for a DIY Bracelet. 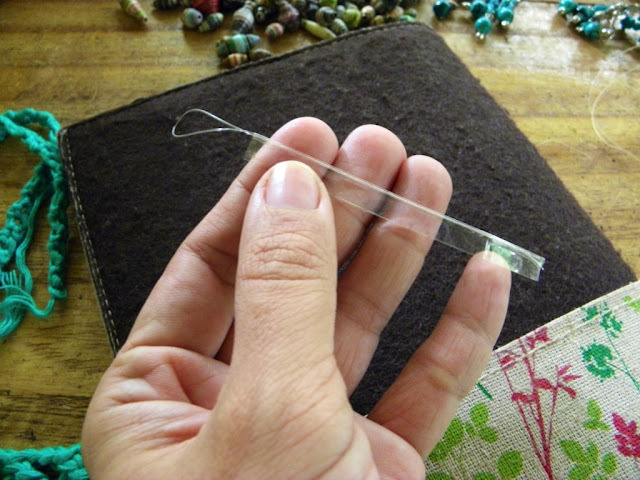 I must say that this little piece of plastic is the most useful thing for threading - fine beads with fine thread and most especially, small beads with large yarn. 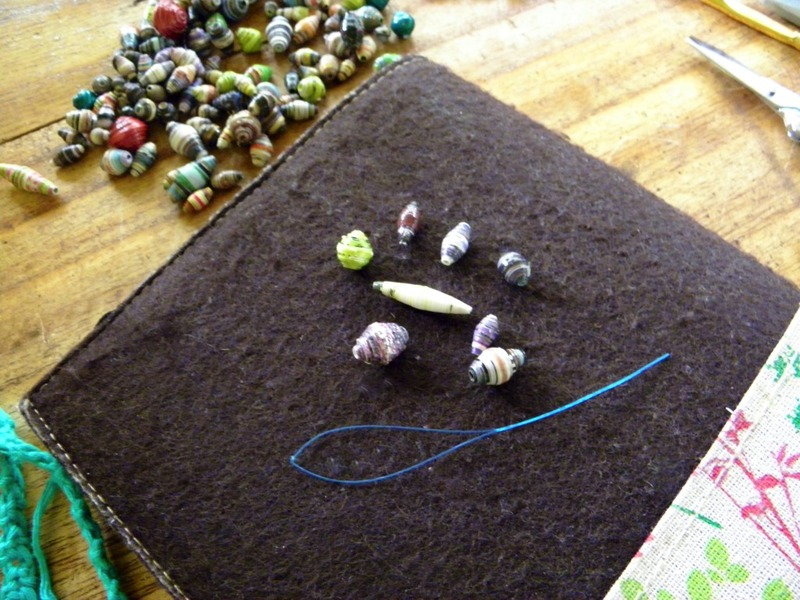 I would like to emphasise the latter because I can easily thread fine beads with fine thread but with large fraying yarn? 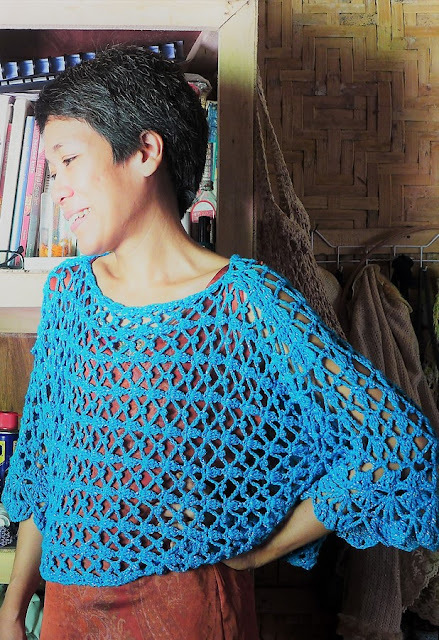 It is impossible with just a needle. Here is what a dental floss threader looks like (below). 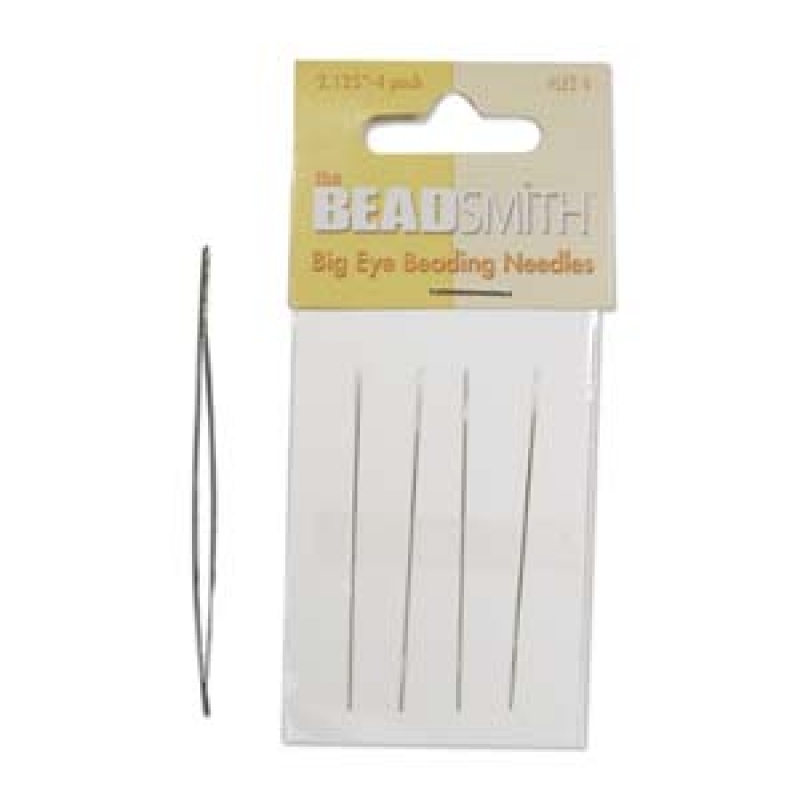 Special needles are also available for the purpose of beading. These needles have large collapsible eyes so that they are easy to thread and easy to pass a bead through. 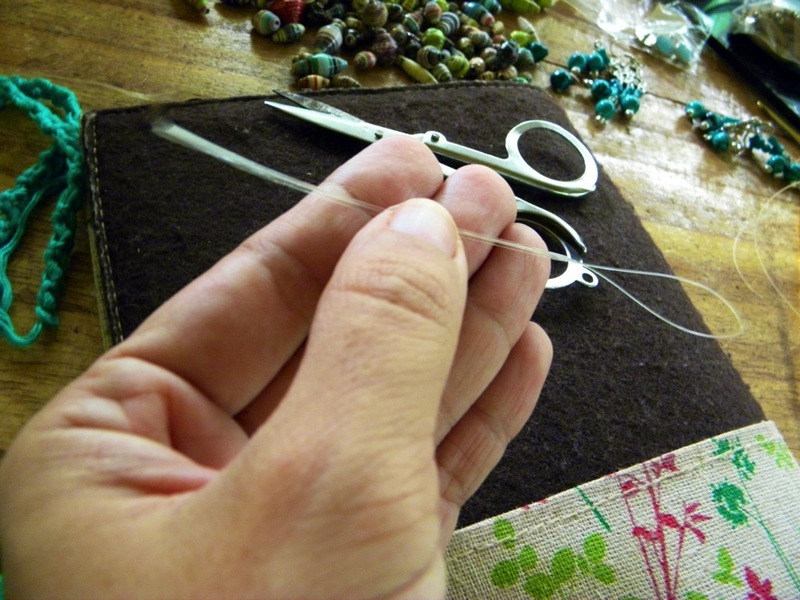 This is what a beading needle looks like (below). Since the shops here don't sell either beading needles or dental floss threader, I suspected that it might be possible to make your own. And I was right. 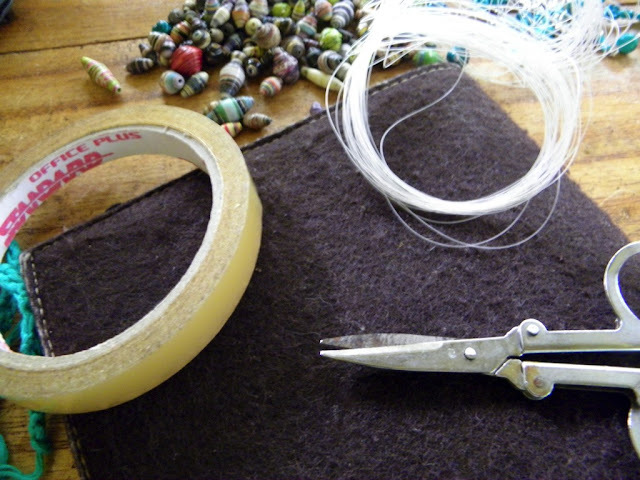 Here's what you need: (1) a piece of nylon string or fishing line; (2) clear plastic tape; and (3) a pair of scissors. First you need to cut a suitable length of nylon, maybe 6 to 7 inches which you'll fold in half. 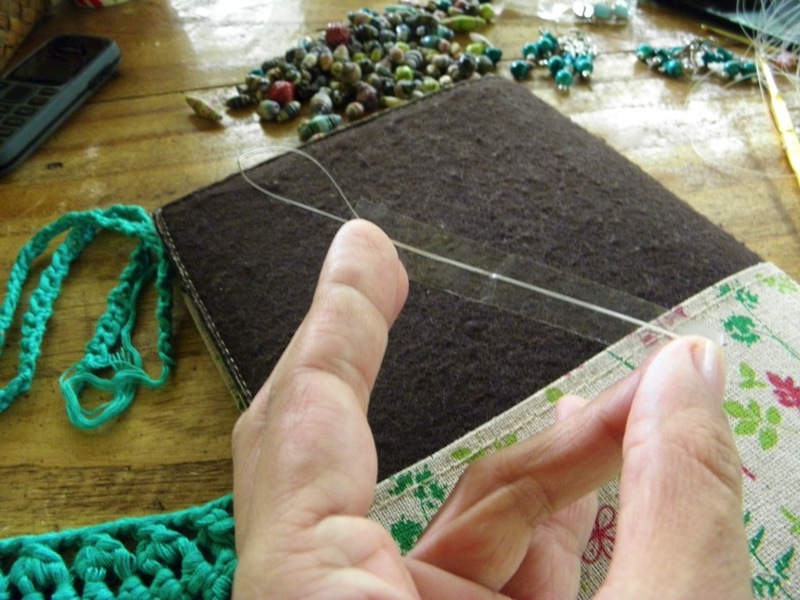 Then you cut a suitable length of tape which would make up the length of your threader without the eye. This would be about 4 to 5 inches, a bit longer since you will be cutting this later on. 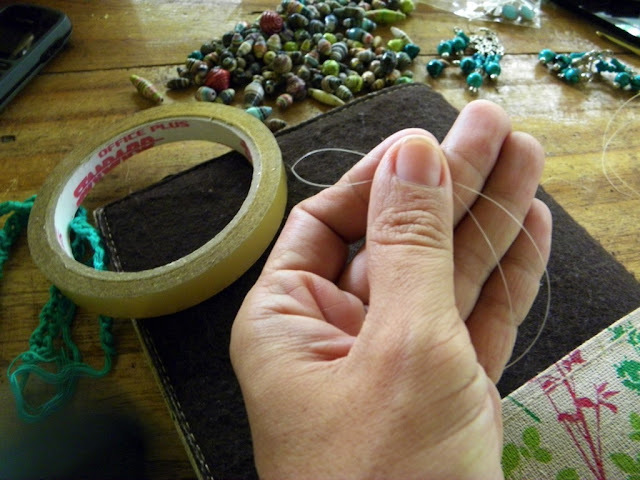 Carefully bring the two ends of the nylon string closely together over the adhesive side of the tape, leaving about an inch and a half of loop at the other end (this loop will be the eye of your threader). Make sure there are no gaps between the two strings. Now turn the tape over the two nylon strings and press firmly, removing any air bubbles. Once the tape and nylon are well secured together, cut the rest of the tape along the side. 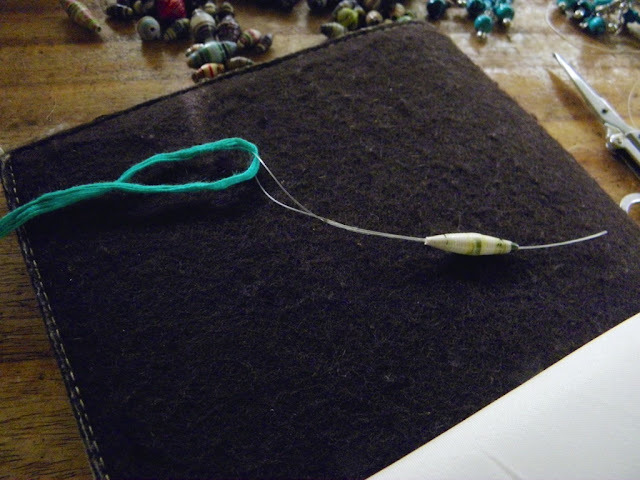 Finally, cut a diagonal, pointed tip at the end of the threader. 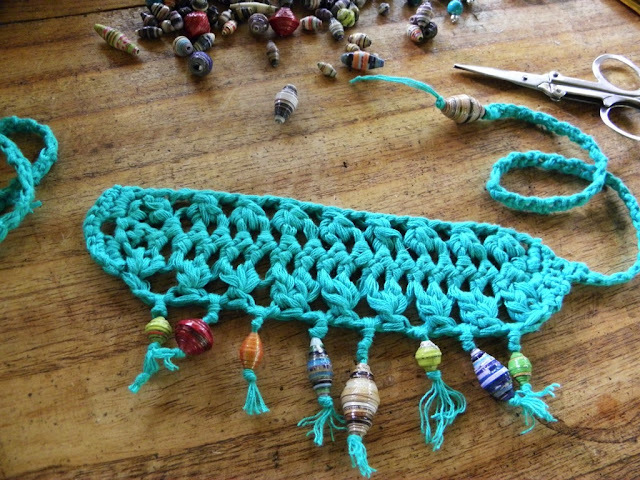 And that's it, your bead threader is ready to use. And if it wears out, you can always easily make a new one. Inspiring and educational, as always, Ms. Fatima! Thank you!